How to Prepare for CAT 2019? 1. How should you prepare for CAT Quantitative Aptitude section? 2. How to start CAT preparation? 3. What are the key topics in Quantitative Aptitude? 4. How should you prepare for the LRDI section? 5. How do we get geared for DILR of the level of difficulty seen in the CAT exam? 6. How to prepare for the VARC section? 7. How to prepare for Reading Comprehension? 8. What should we read for the VARC section? 9. How do we analyse a mock? And a lot more questions are answered in this fabulous session that Bharath conducted a while ago. What is the Best Preparation Strategy for CAT 2019? We at 2IIM Online CAT Coaching believe that learning everything from first principles is the best way to approach CAT exam. What is the 3-step process outlined by the best online coaching for CAT - 1) Learn from basics 2) Practice away to glory and 3) Take plenty of mocks. This is a broad outline. To read in far greater detail on how to prepare for Quant, how to crack LRDI and how to select the best passages to read; go through this fabulous Quora answer that 2IIM’s Bharathwaj has outlined. If you are keen on CAT preparation, this will be one set of 5 minutes well-spent. How do CAT 99+ percentilers prepare for CAT? We at 2IIM Online CAT Coaching start teaching CAT concepts from the basics. In this answer, Rajesh Balasubramanian, 4-time CAT 100 percentilers talks about the CAT preparation journey of 3 99+ percentilers. All three of them had different backgrounds, but when it came to CAT preparation, their approaches were more or less the same. Read the answer to know more about their CAT preparation strategies. First up, learn what CAT exam is all about? What does CAT test? Which colleges admit based on CAT score? What exams to take up other than CAT? What is the Syllabus for CAT? What are the different sections to worry about for CAT and other such enervating questions, dive into What is CAT exam all about? If you have healthy disdain for gyan related to CAT and are merely interested in starting preparation at the earliest for this exam, visit our CAT Question Bank to get going. As we never tire of saying, no amount of preparation planning is as good as a few minutes of actual preparation. How to Organise CAT preparation? We can break CAT preparation into three phases – Learning fundamentals, doing the grind and taking mocks. Read more at Three phases of CAT preparation. All three phases are important – one builds strong basics, one builds automaticity (Special read on automaticity) and one gets you exam-ready. Read more at Three phases of CAT preparation. It is very important to stay away from questions of extraordinary difficulty levels in Quant and focus on the relevant portion of preparation. Stay at a discreet distance from social media and forums when you are preparing for CAT. How to Schedule CAT preparation? CAT has a lot of topics and so it always helps to have a clear schedule. Watch the video to get a quick overview. Or, if you are from the small minority that likes to read, page is all yours - CAT Schedule. 2. Underestimate reading. Read for an hour every day. Read all kinds of different things (What to Read). 3. Ignore DI-LR. This forms one-third of the paper. Students usually spend less than 10% of the time focusing on this. Do the math. How to Prepare for CAT Quantitative Aptitude? People think the toughest section to prepare for is Quants. So we have outlined Three step quants prep plan and Common traps to avoid. This article here outlines the broad approach to take while preparing for Quant. It is very crucial to not bypass the fundamentals and to not be fixated on speed building while preparing for CAT. Speed will come with lots of practice. Have faith in this funda and prepare without worrying about speed right from day 1. But the most crucial part of CAT preparation is Reading. Reading is the elephant in the room. Better readers have a higher chance of cracking CAT. It is the most crucial aspect as it improves your chances with RC, and the rest of the VA section as well. You will definitely want to know what to read – for books click here and for blogs and websites here. For how to go about reading, watch One video here and another here. This article gives an interesting view on how reading plays a crucial role in CAT preparation and how it is infinitely more crucial than vocabulary-building. How to Prepare for CAT DI LR? How to Plan Mock CATs? How to plan a mock CAT schedule and how to analyse a mock CAT? – This is a whole new topic unto itself. So, as usual go to - Everything about Mock CAT. This page contains a long form article with a series of Videos embedded to help one get a fair idea of what should one do while taking mocks, what are the common pitfalls when taking CAT Mocks, how to analyse mocks, what should I do when I have Volatile Mock scores, How many mocks should I take and other relevant questions. It is not too early to start CAT preparation. If you took CAT 2018 merely as a precursor to CAT 2019, then it is about time to start thinking about a pleasant 1-year preparation cycle. If you are not already one, sign up as a trial user to the 2IIM Online Course and see why so many students say so many good things about us (review link here). Those of you just beginning on this CAT preparation journey, scroll up to know about every aspect of How to Prepare for CAT? . Those of you feeling a little lost amidst all this talk of percentiles, slots, analysis, syllabus etc, click here to learn What is CAT exam . To learn everything about CAT Exam syllabus, click here to know CAT Syllabus . How has the CAT DI LR changed in the past few years? What is 2IIM’s teaching philosophy? We strongly believe on the Quote by Abraham Lincoln “If I had nine hours to chop a tree, I’d spend the first six sharpening the axe.” We start from scratch giving a stubborn focus on fundamentals so that the student gets the opportunity to learn by discovering ideas. The plan is to provide a framework for students to handle tougher questions. We demystify this exam and break every idea into small digestible chunks which is categorised as theory, exercise and CAT-level questions. 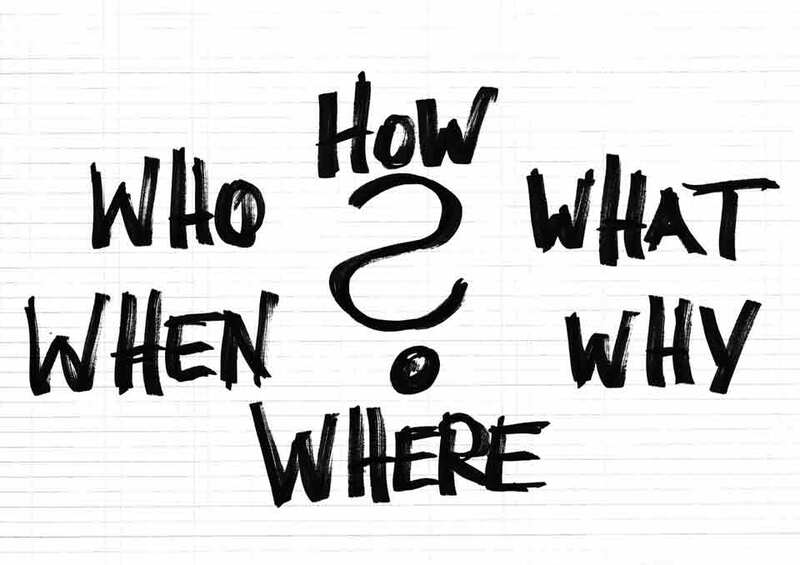 The basic idea is to provide a structure with simple questions and 'push' students to discover some thought processes while handling CAT-level questions. We would always love to ensure that the students have enough fun and enjoyment, preparing for CAT Exam. What are the best blogs for CAT preparation? What is the best Youtube Channel for CAT preparation? Which is better: online coaching, or classroom coaching? Definitely, it is Online Coaching that is the better of the both. Comparing both Online and classroom course, the following are the areas where the Online Coaching takes a giant over the other. • Consistency is a vital plus where all the teaching is done by a narrow set of teachers in an online course. The teacher and the pedagogy matters the most. • The Teaching in a classroom course could vary from City to City and week to week whereas it isn’t in the case of Online. • In Classroom, Travel and specific timings won’t be suitable for all but in an online course you have an option to learn anywhere, at any time, at your own pace and in order that you would like to learn. • There are three components for actual teaching part - the material, the pedagogy and the teacher. In a good online course, the designing and teaching are done by the same person or group. In a classroom course, the question is created, the idea transmitted are by different groups and then the teacher usually delivers to this script. 2) It has to be on a very good LMS (Learning Management System) that will give you sound analytics and helps you both to learn and to assess where you are. 3) A chance to check out large sections of the course that is available in the course UI, not merely on Youtube channel. Is it possible to crack the CAT starting from August? Of course, the answer is YES and you can crack CAT by preparing from August onwards. And it’s even possible when you begin from September 15ᵗʰ too. Always remember that the Quality matters more than Quantity. Finding 400 hours from somewhere and prepare feverishly in those 400 with good quality will suffice which will end up getting a decent percentile. P.S: Get out of Quora, Facebook etc. for 4 months and most of them can find their 400 hours. Cheers! How can I make CAT preparation enjoyable? I can’t understand what relevance the entrance exam has with respect to management. •	First of all remember that CAT exam tests basic intelligence of class VIII, IX and X level in a standardized format. •	There is Myth that says “Engineers have an advantage in CAT exam” but the actual scenario is that this exam gives Engineers absolutely no advantage and moreover the discrimination is against Engineers at every stage. The Idea that non-Engineers (or girls, or students from commerce background) have a disadvantage going into CAT Exam is Pish Posh. •	Learn math with a sense of joy. Learn from the basics and retain a sense of wonder about math as the way Archimedes did and who proved, “If learnt well, math is endlessly fascinating”. [P.S: Learn about how Archimedes ended his life in the link below and that story is perhaps apocryphal. •	Mathematics is considered to be the queen of the Sciences since it is a fabulous brain-exercise tool kit and is endlessly fascinating. A Simple correlation concept will make you understand. There are students who are very smart but have not cracked CAT. And so we can say with reasonable certainty that someone who scores 99th percentile will be reasonably intelligent. The second 0ne is more relevant as far as the IIMs are concerned. CAT scores and general intelligence in most cases carry a high correlation. What are some shortcuts useful in the CAT exam? There is famous saying, “There are no shortcuts to Success”. Shortcuts give an illusion of preparation more often and so Run from shortcuts with all your might. I am preparing for CAT but I hate quant, how can I start loving it? •	Math is most definitely not this thing that you need to have a phobia about. Anyone afraid of math is someone who has not been taught math well. •	Learn math with a sense of joy. Learn from the basics and retain a sense of wonder about math as the way Archimedes did and who proved, “If learnt well, math is endlessly fascinating”. •	Mathematics is considered to be the queen of the Sciences since it is a fabulous brain-exercise tool kit and is endlessly fascinating. Learn from basics, learn with joy - the fear will go away. Is there a reading list available for CAT Verbal Ability? Find a list of up to 50 fabulous books in this wonderful reading list for CAT. Remember that anything written by PG Wodehouse is golden. Find a list of well-written blogs and websites here. Economist, pre-video era Cricinfo, the Atlantic are all excellent. But if you are really looking for a curated list with a nice article reviewed and sent to you gift-wrapped every day, you should join our Facebook Group – CAT Prep online - 2IIM. How Do I prepare for CAT for free? There are plenty of books available for CAT preparation at very low cost. The best basic books for Quant are the NCERT books for classes VI to X and RD Sharma/RS Agarwal. If you want tougher, more relevant questions to practice from, you should visit the best CAT Question bank in the world - 2IIM CAT Questions. It has great questions, even better solutions and some wonderful video explanations. And also follow our Youtube Channel – 2IIM CAT Preparation for a plenty of free preparatory videos. Where can we see previous years’ papers of CAT? There are plenty of websites that will give you this, but be very wary of these. CAT did not release the actual paper from the years 2009 to 2016, so any website giving these is creating these paper without a credible source. The CAT papers from the years 2000 to 2008 are available for free (with solutions) inside the 2IIM Online Course. There were two sessions each in CAT 2017 and CAT 2018 – these 4 papers are likely to be the best samples for CAT. These can be found here 2IIM CAT Question Paper The PDF gives the questions with embedded links to video solutions for all of these. How do I start my preparation for CAT 2019? One should start your CAT preparation by starting to understand that CAT tests at max high school math, common sense and reading habit. •	Prepare from first principles so that your basics become automated. •	Don’t just Wander around, don’t learn in a straitjacket. •	Be relentless - this is a marathon testing your temperament and not a sprint. •	Dont merely plan which is the easiest part, execute the damn thing. •	Read a lot with variety and read it all the time. What should be the strategy to score 100th percentile in VARC ? 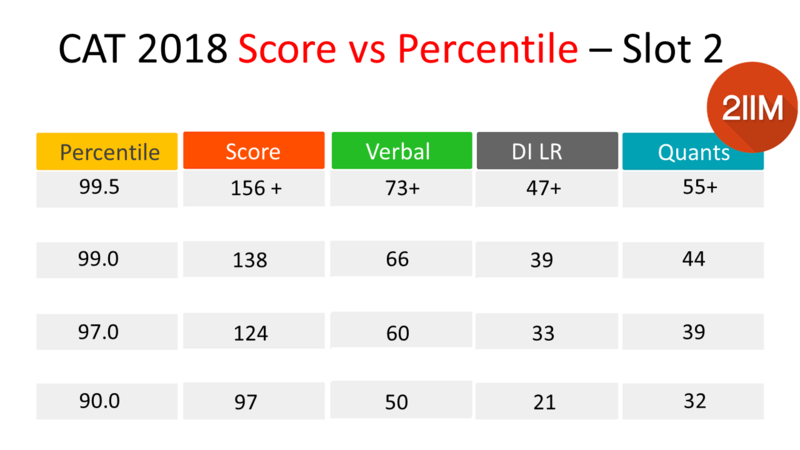 There are students who attempted 29 questions out of 34 in Verbal Section and ended with 77ᵗʰ percentile, while there have been also been students with just 28 attempts ending upwards of 99.xxᵗʰ percentile. And the reason behind this is accuracy, which matters a lot. Speaking about accuracy and students often end up with the “The last two choices problem”. That is students narrow it down to two choices in the VARC section and then end up choosing the one which they think is the right one. In the similar way they take chances in these questions but do not take sufficient effort to resolve this. The common mindset we often see is “It will be either of the two. If I attempt 10 questions like this, I will get 5 right. Let me not waste any more time and mark the one you think it’s right.” This line of thought in most of the cases is incorrect. The guys setting the exam paper have planted something in either choice B or choice D that will make it easy to eliminate that and locating that thing will be the key. This is an objective paper with one correct answer per question. When you practice mocks, fight against that last step resistance and work aggressively on improving accuracy will help you master this section. It is a common myth that reading speed and vocabulary are important for VARC while they both count for nothing. What has 2IIM done to counter the increasing level of difficulty of the DILR section in CAT? We all know that the DILR Section of CAT is becoming increasingly difficult with each passing year. It gets to a point where it’s hard to distinguish between DI and LR that appears in actual CAT, so we noticed that and chose to address this. All of us at 2IIM takes the CAT exam every single year to keep us updated and also to know where we stand. Every single year, we ensure that the interface is user friendly allowing students to make navigate easily. We also take one section and revamp that section by improving the Content, Video/Audio quality, etc. Last year, we are have doubled the content available under the DILR section of our online course. Apart from that, we have also added a testing engine that will allow you to just come and solve a ton of questions (5000+) for practice in the form of tests. You will also have detailed solutions so that you can go back and fix your mistakes. What are the best Apps for CAT Preparation? 2IIM has an Android App for CAT preparation. The app contains lessons, videos, slides and tests put together by a team of faculties who take up the exam year after year. Read More about the App on Quora: Quora Answer. What are the best books to ready for CAT preparation? We have an elaborative list of books for improving your reading habit. Check the link. What are the best blogs and websites to ready for CAT preparation? But if you are really looking for a curated list with a nice article reviewed and sent to you gift-wrapped every day, you should join our Facebook Group – CAT Prep online - 2IIM .